It’s excerpt twelve with our villain theme for Medieval Monday. 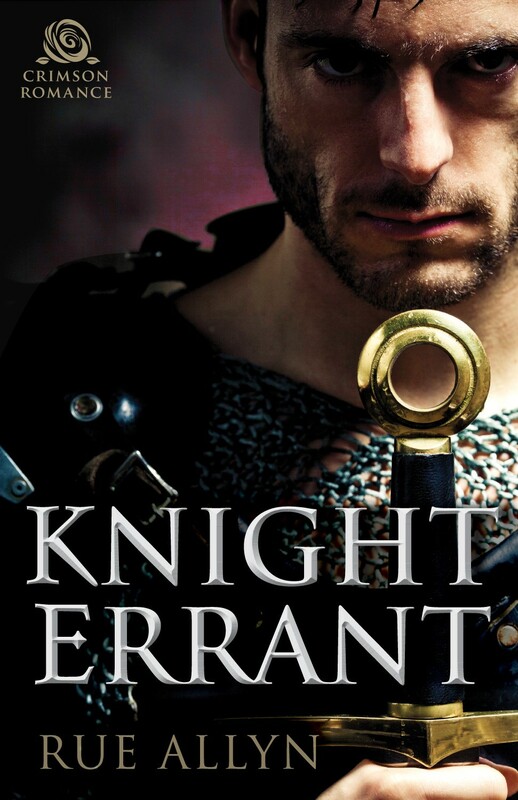 My guest today is Rue Alleyn and her characters from Knight Errant. We hope you enjoy this excerpt. Happy reading! Robert topped the landing on the inn’s upper floor, forcing himself to slow to a walk. In less than a month’s time, he would deposit Juliana with King Edward and be free. Bitterness flooded his mouth. Where had that come from? He could not possibly regret being rid of his smiling Beguine, could he? No, ’twas simply that freedom would be his at Juliana’s cost. He reached the room and knocked in the pattern he had told Juliana to listen for that morning. Nothing. He knocked again. “Juliana!” he bellowed. “’Tis no time to play at games with me.” His hand fell to the latch to rattle the door. It lifted freely, and the door swung open. A moment’s glance told him the room had been searched and she was not here. Foolish woman. Where could she possibly have gone? After last night, he was certain she understood the danger. He grabbed up the dagger that glinted on floor beside the window. Blood dried on the lower half of the blade. Robert’s heart froze—fear for Juliana nearly shattered it. BLURB: If Sir Robert Clarwyn can’t find a way to compel Lady Juliana Verault to return to England, he’ll lose any chance of regaining his family lands and redeeming his heritage. Yet Juliana must complete her mission to improve her gender’s future in the church. With danger and intrigue mounting, Robert and Juliana must rely on each other and risk everything … including their hearts.